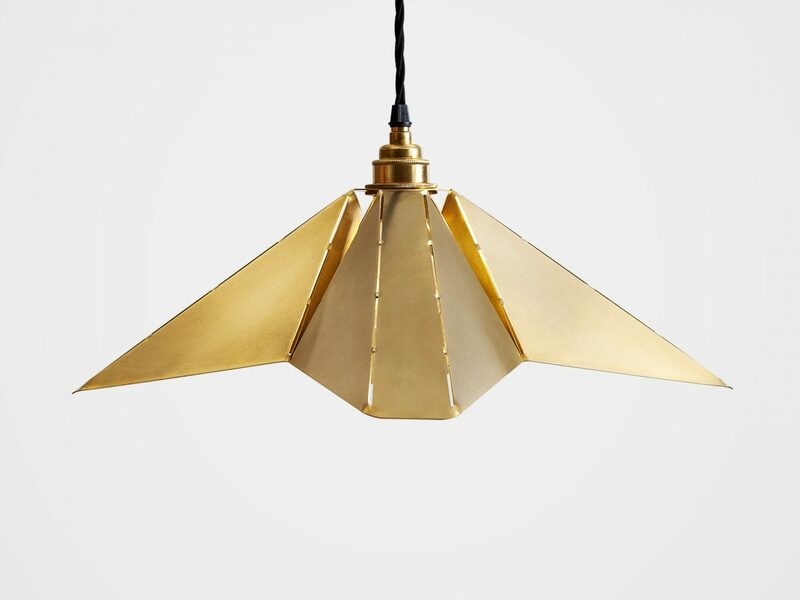 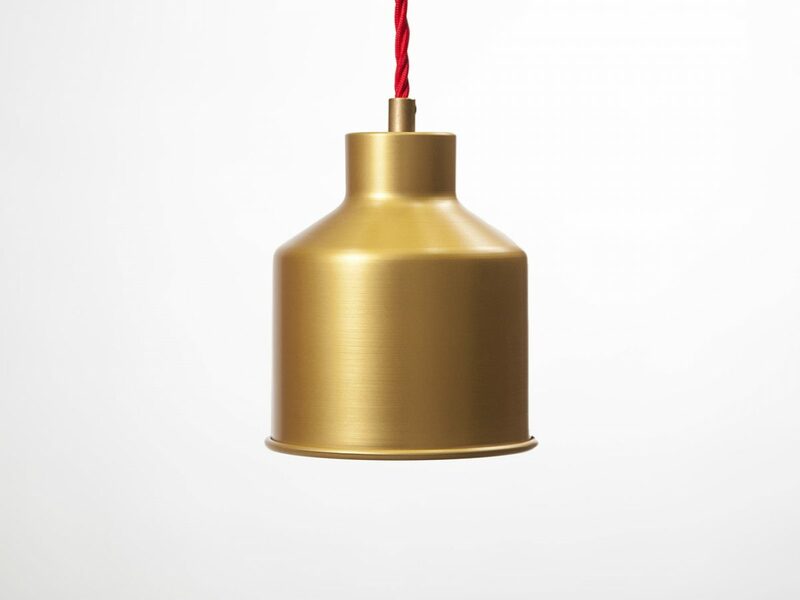 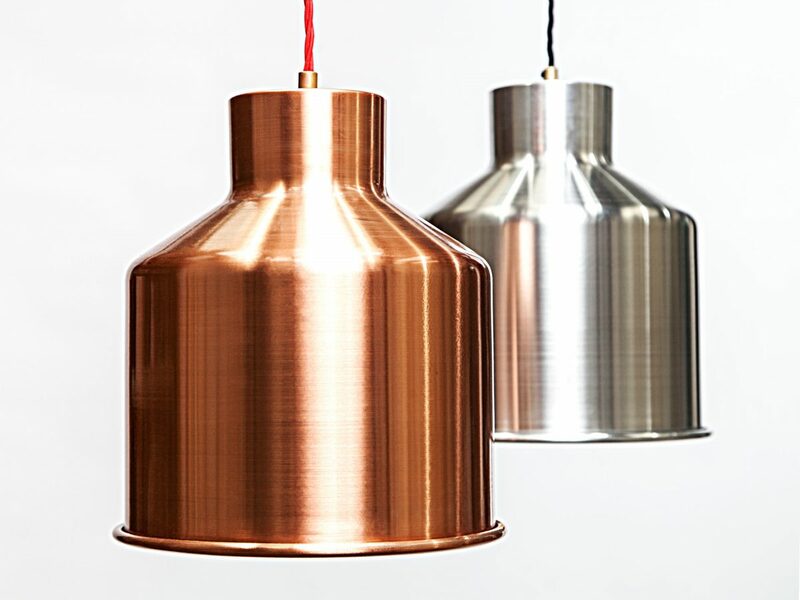 Each range of Liqui’s contemporary pendant lighting has its own distinctive style. 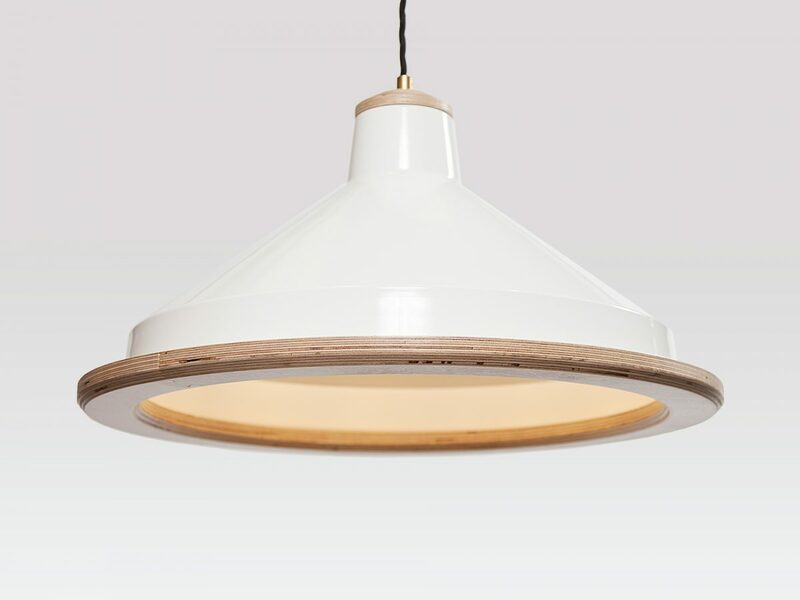 Our ceiling lights are designed for modern commercial interiors and are suitable for a variety of settings. 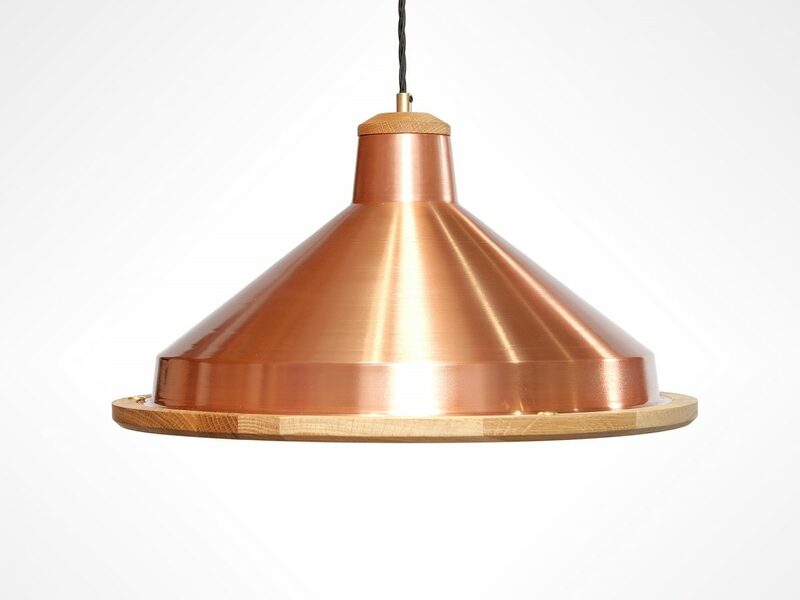 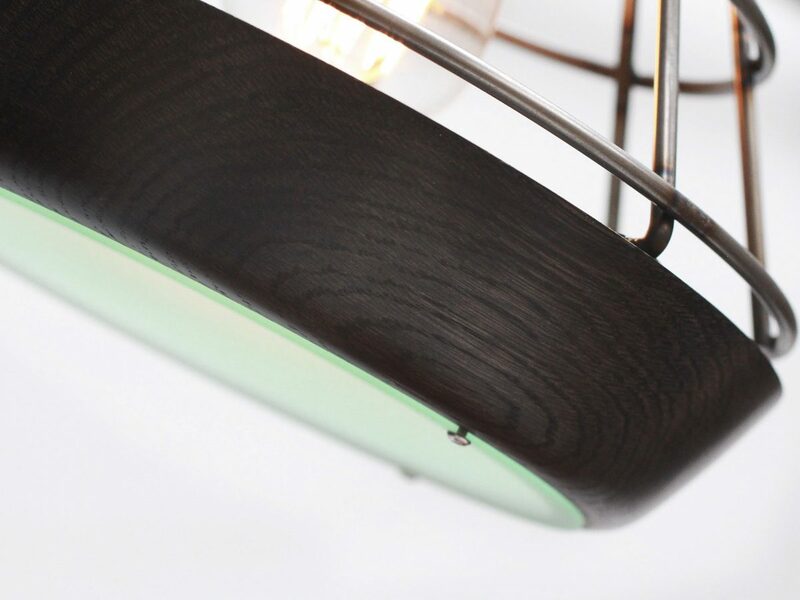 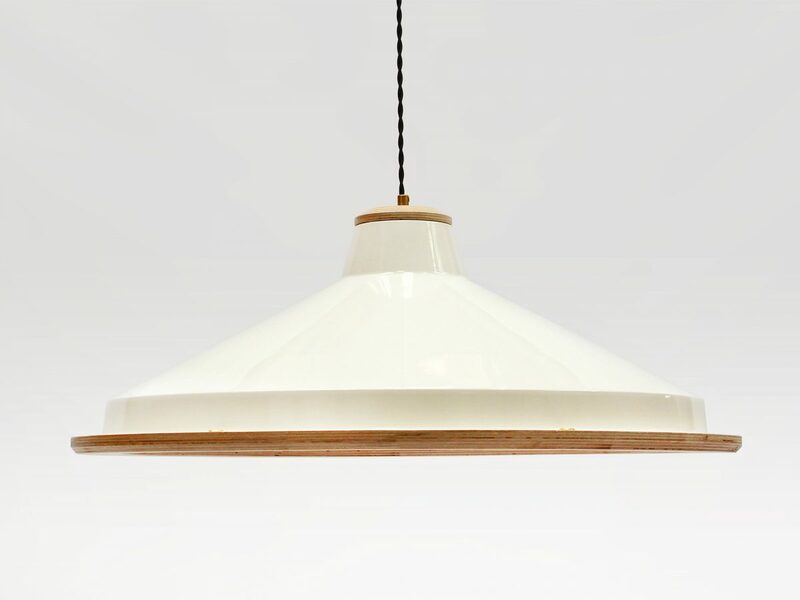 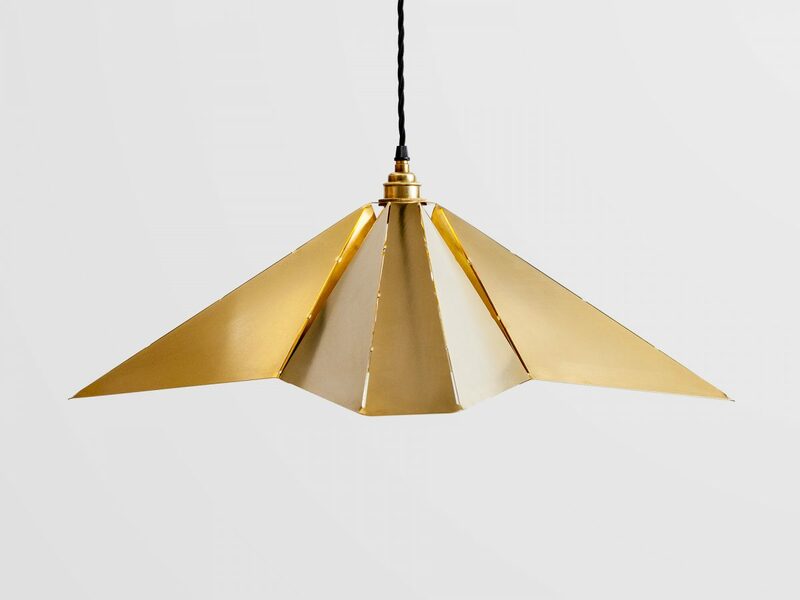 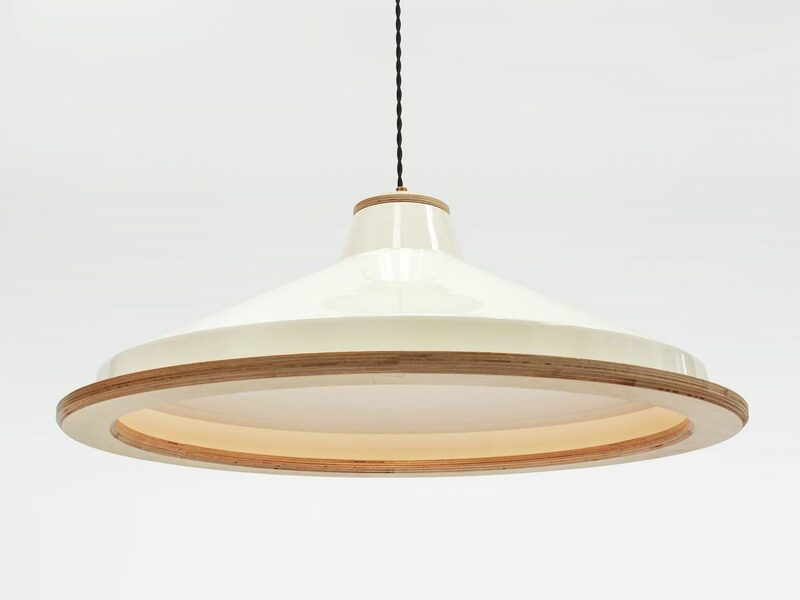 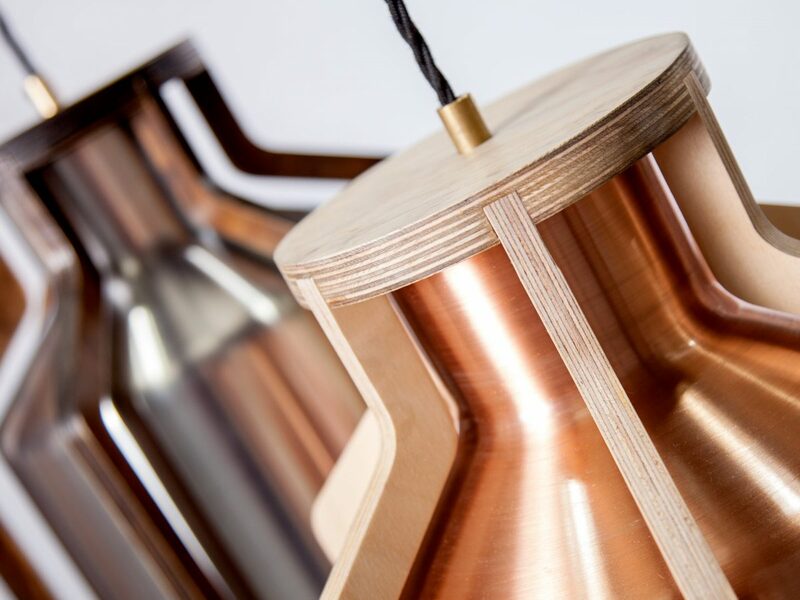 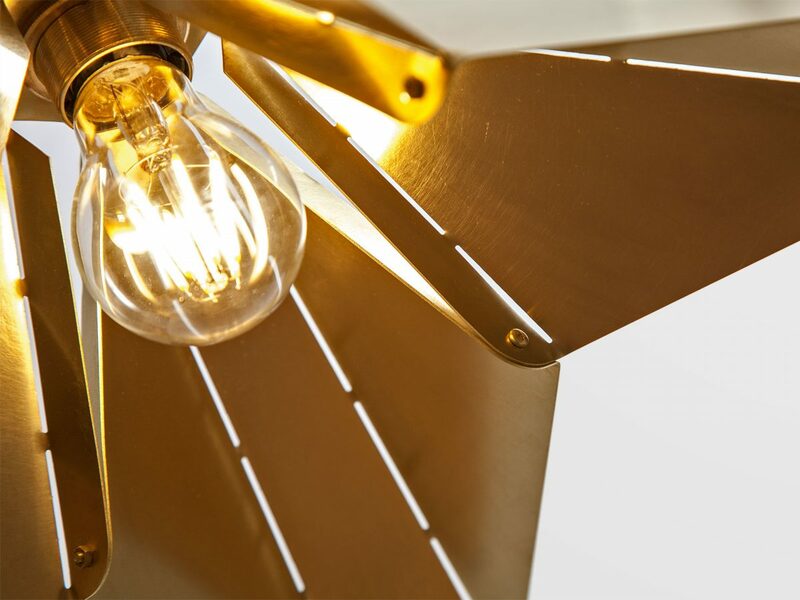 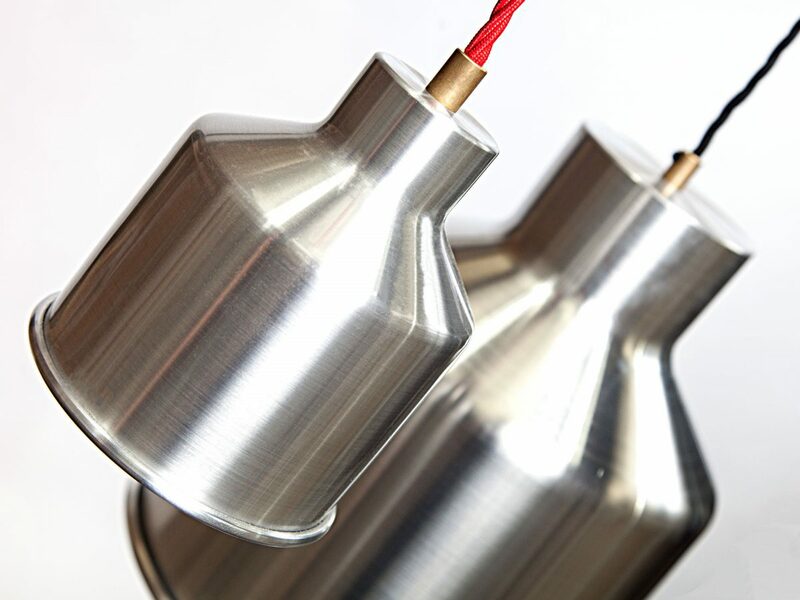 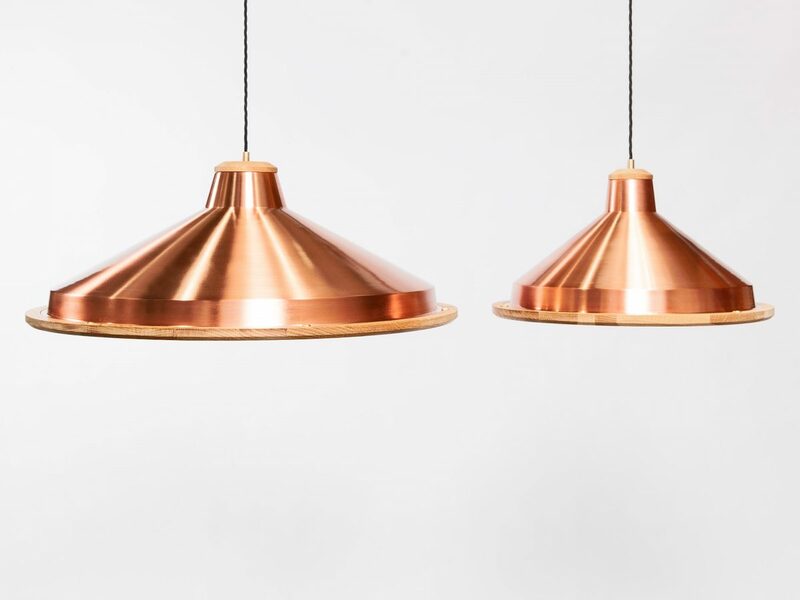 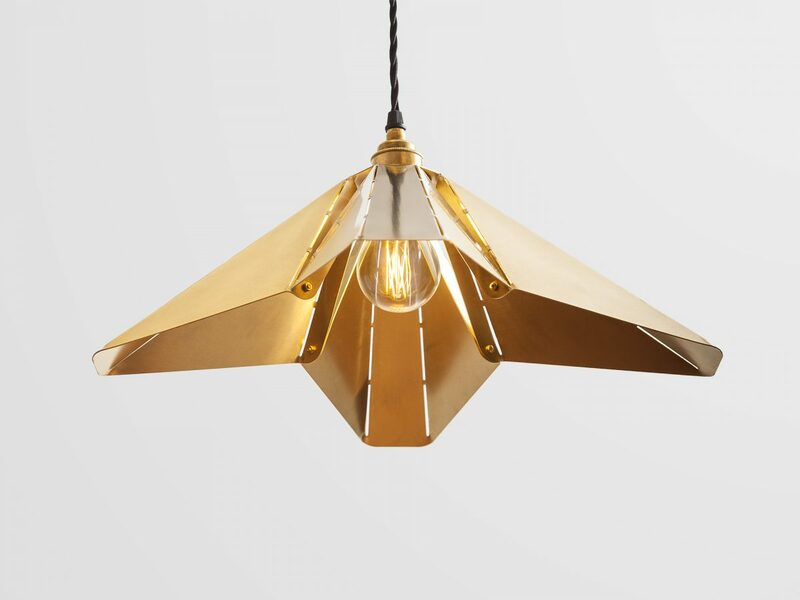 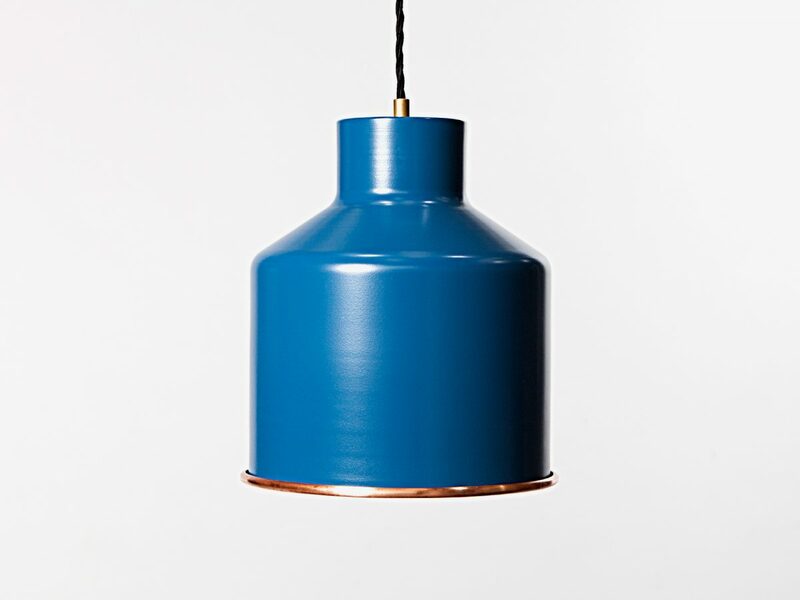 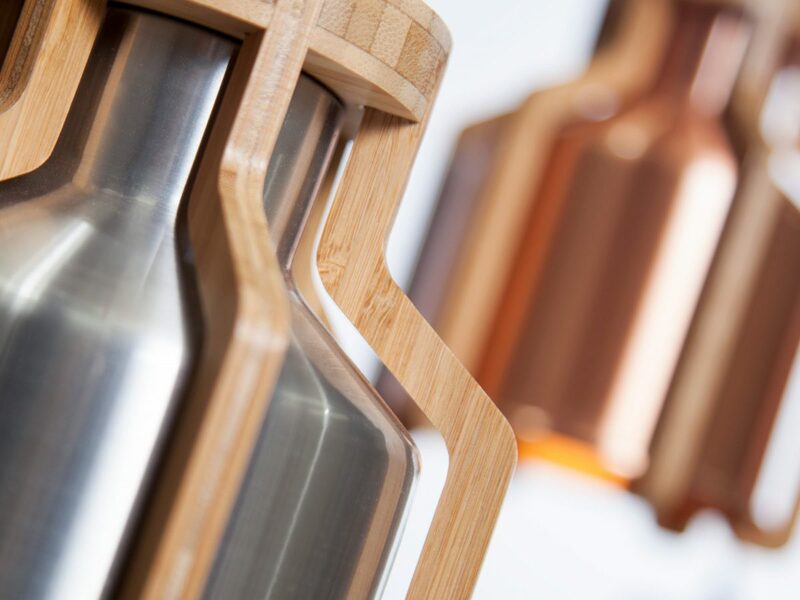 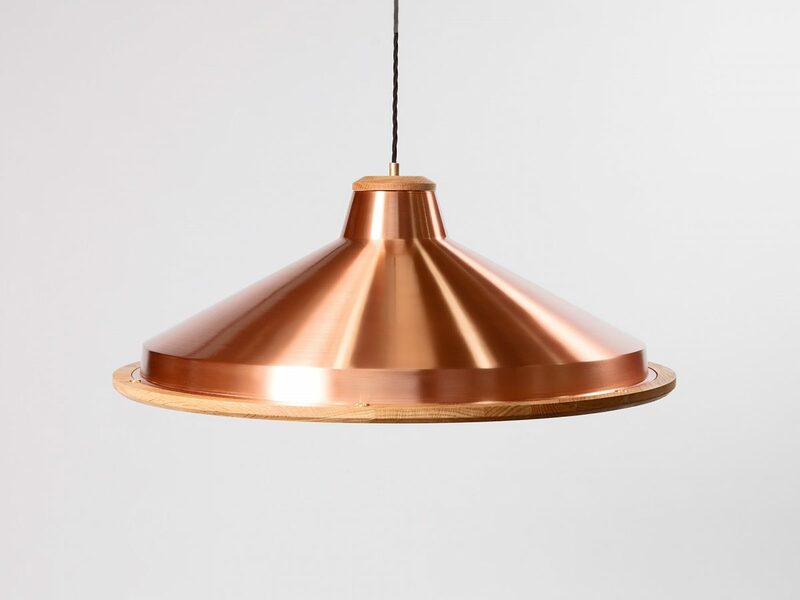 Ideal for coffee shops, restaurants, hotels, shops, offices and as bar lights, our modern pendant lights UK manufactured to order, offer a choice of finishes and materials. 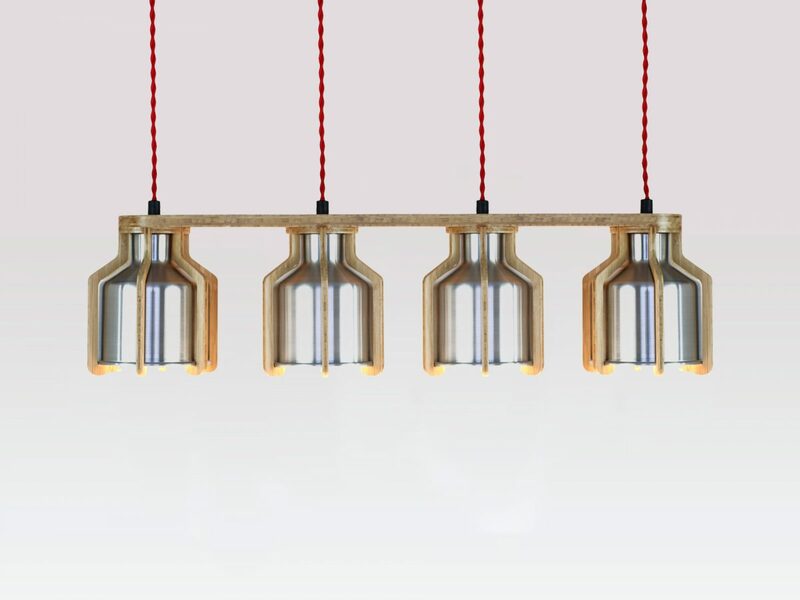 This means that our suspension lighting is very adaptable and can be customised to suit the particular style of your interior design. 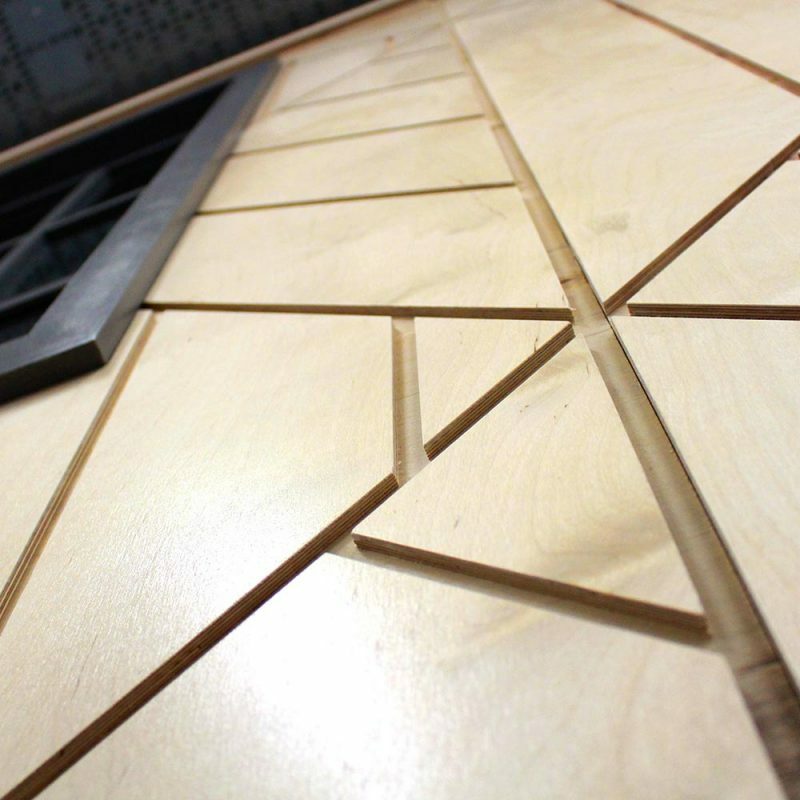 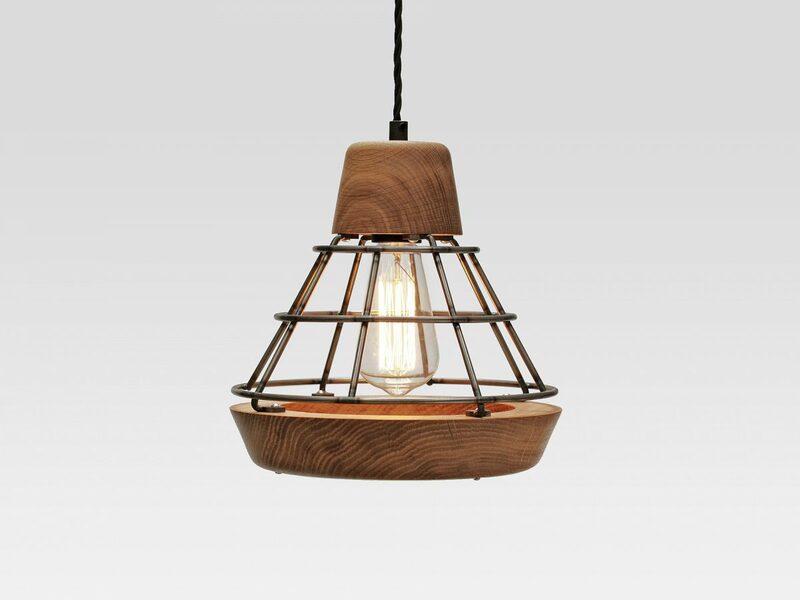 Materials: Natural sustainably sourced Oak with a steel cage. 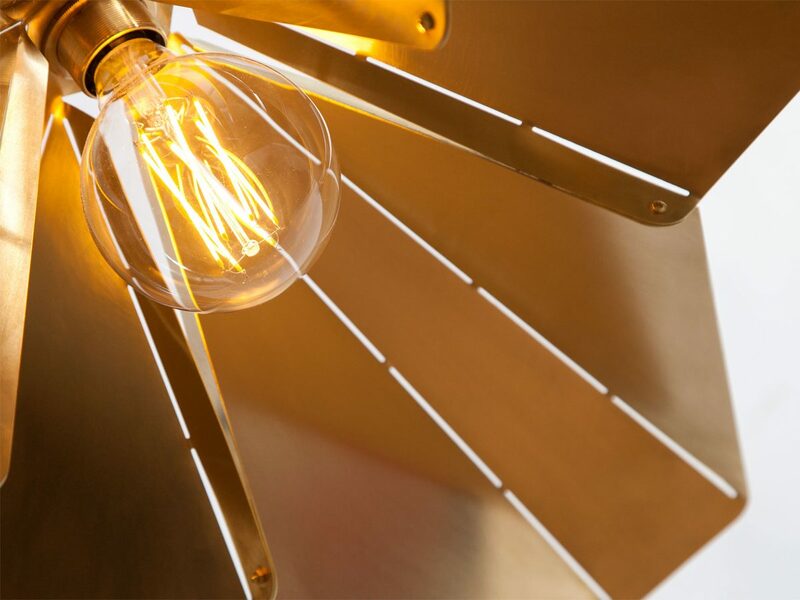 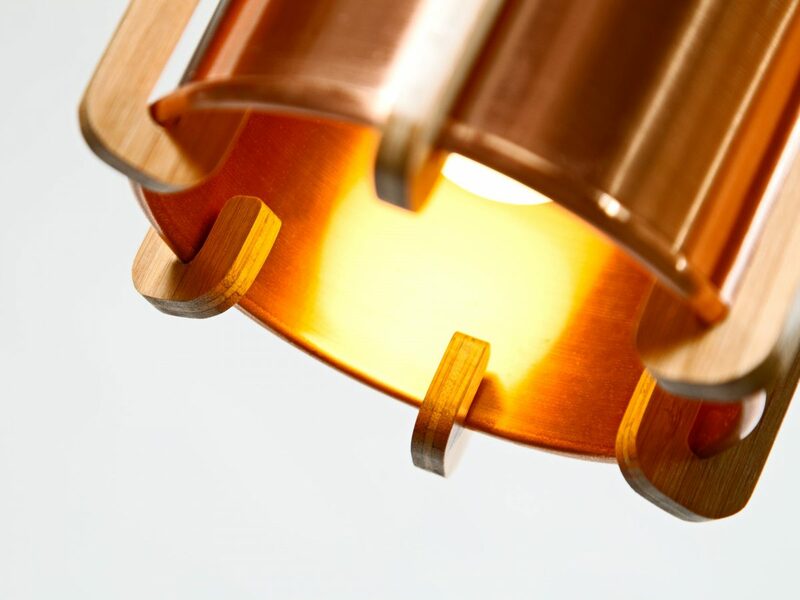 The metal spinning process gave rise to the core form of the Cell Lamp. 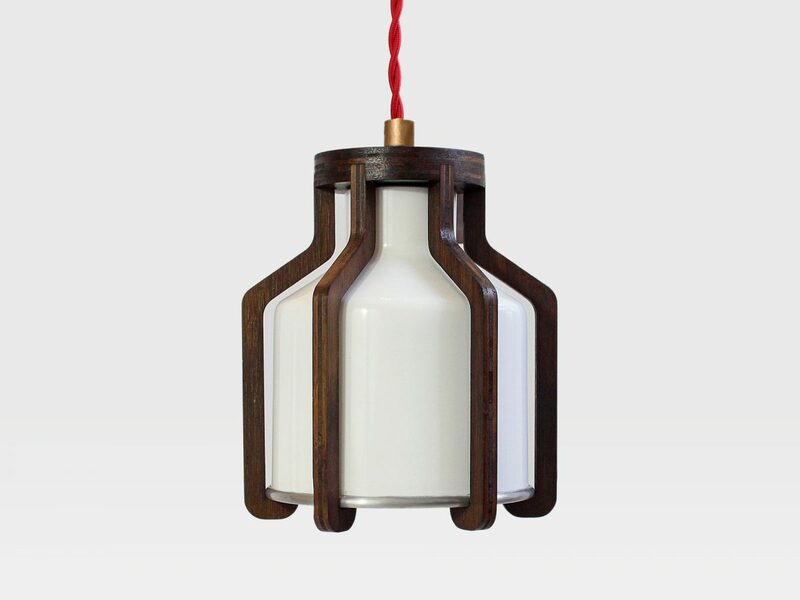 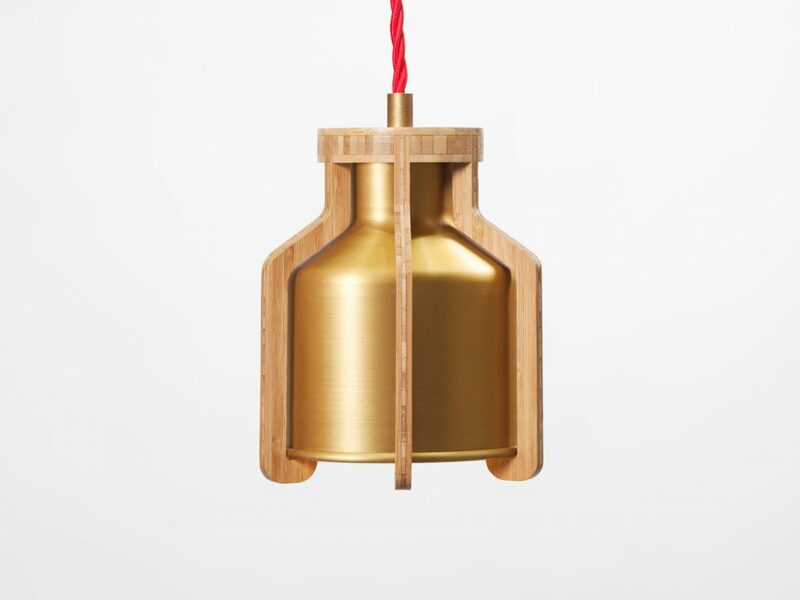 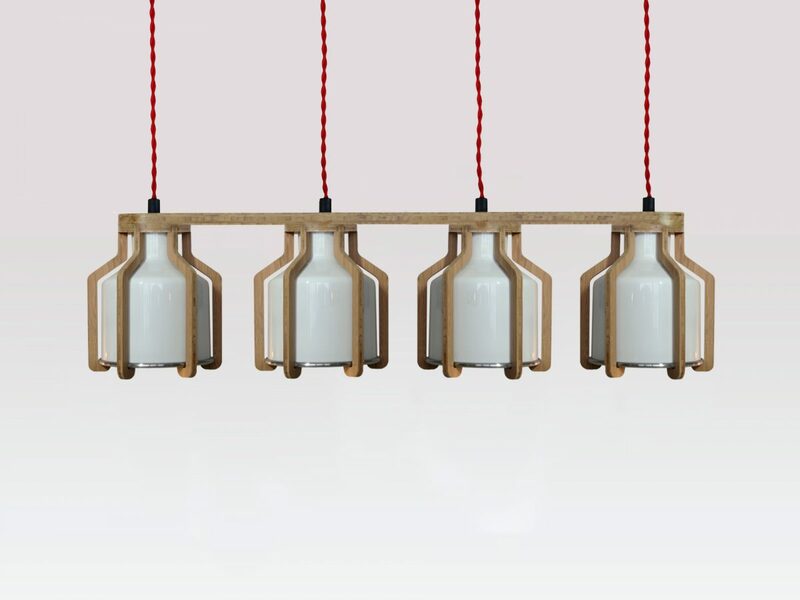 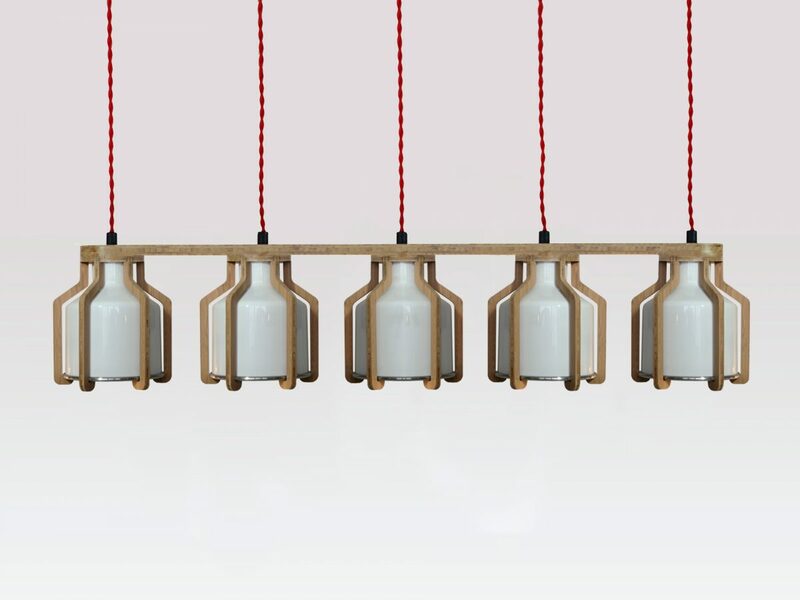 A milk churn inspired the simple shape of the light shade which has been enhanced by the cross-ply bamboo ‘cage’ that surrounds it. 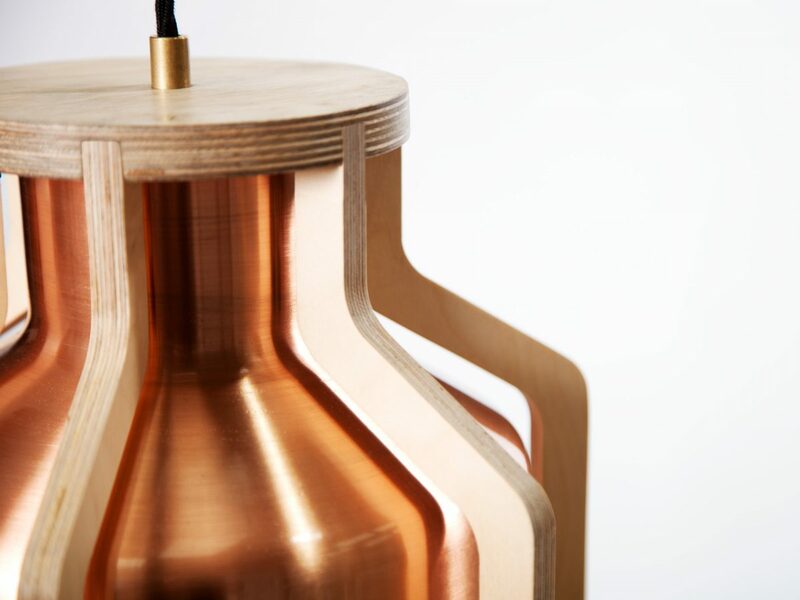 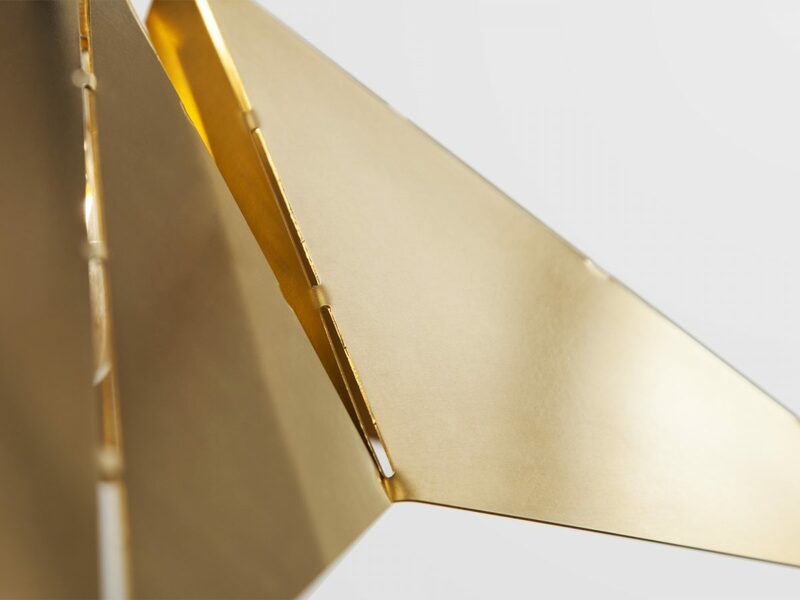 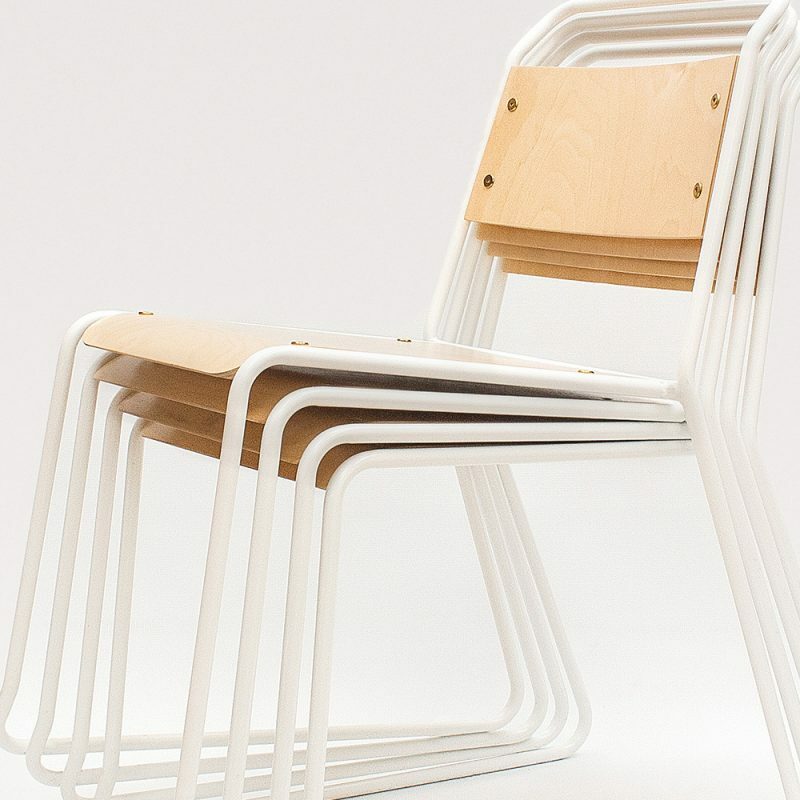 The result is an award-winning design that is not only beautiful but also versatile. 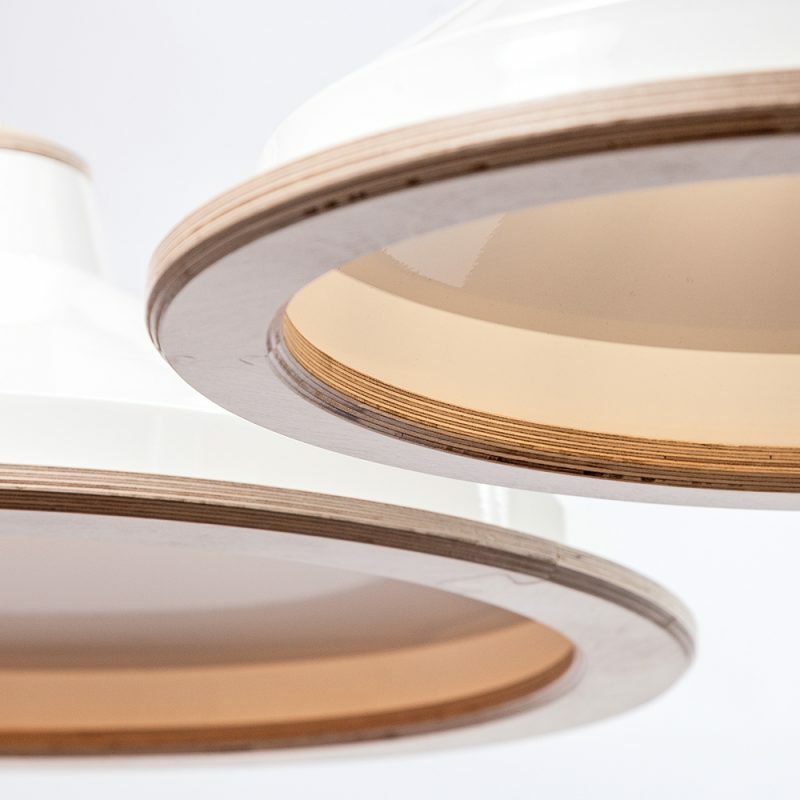 This work prompted the realisation that there is a need for a lighting range that has the flexibility to be used in a variety of ways. 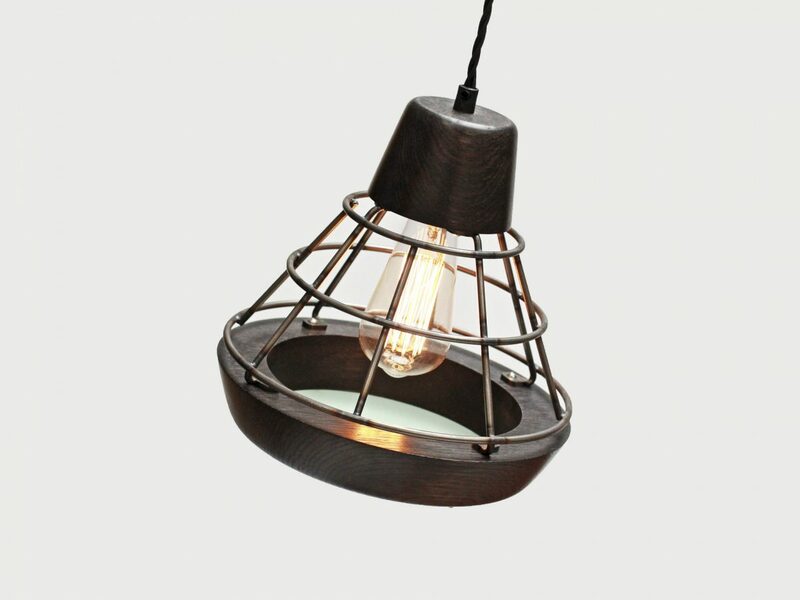 This design subsequently offers a coherent lighting solution for any commercial environment. 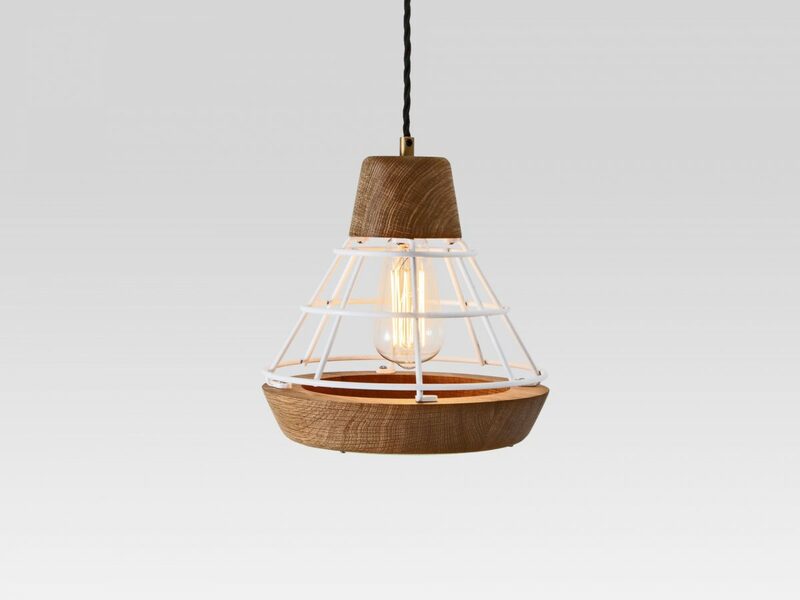 Materials: Cross-Ply Bamboo cage with an option of aluminium or copper spun shade. 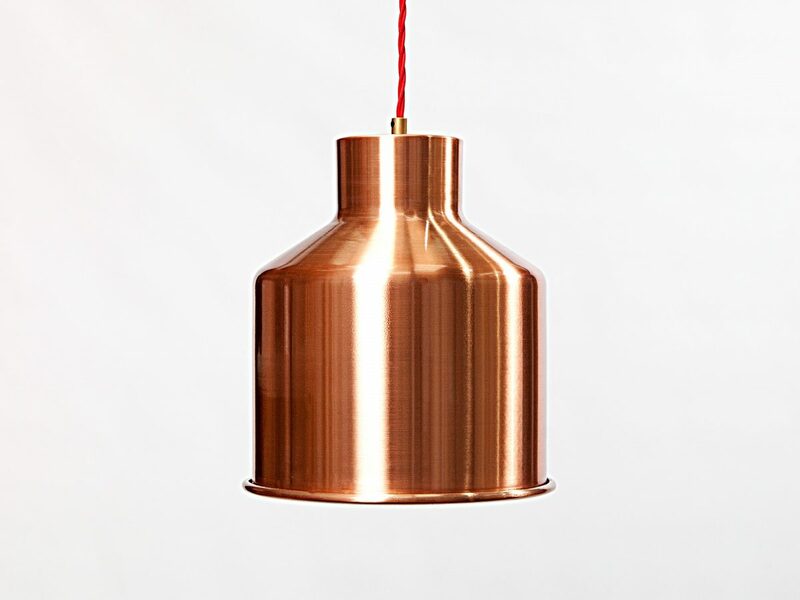 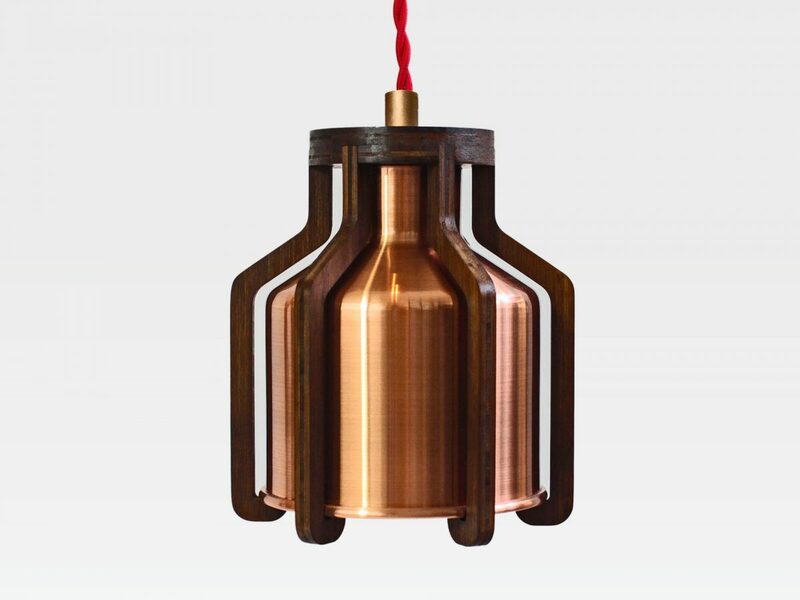 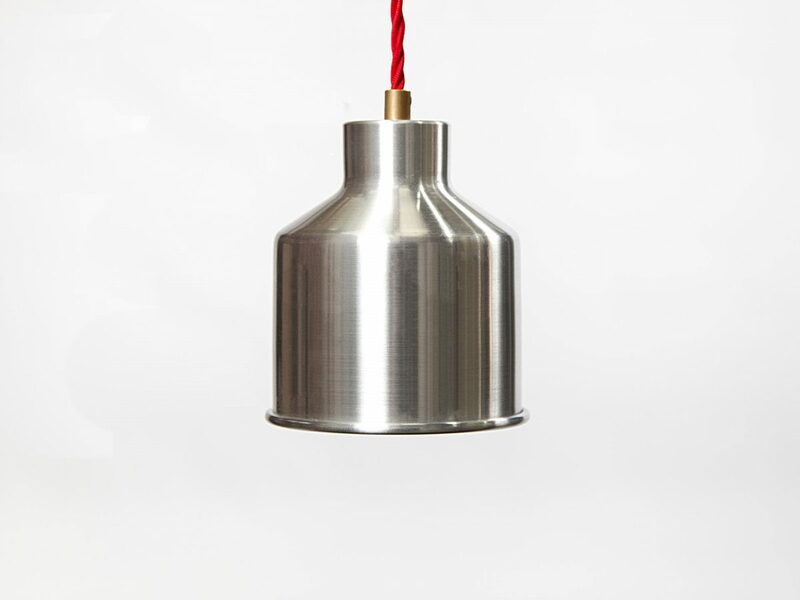 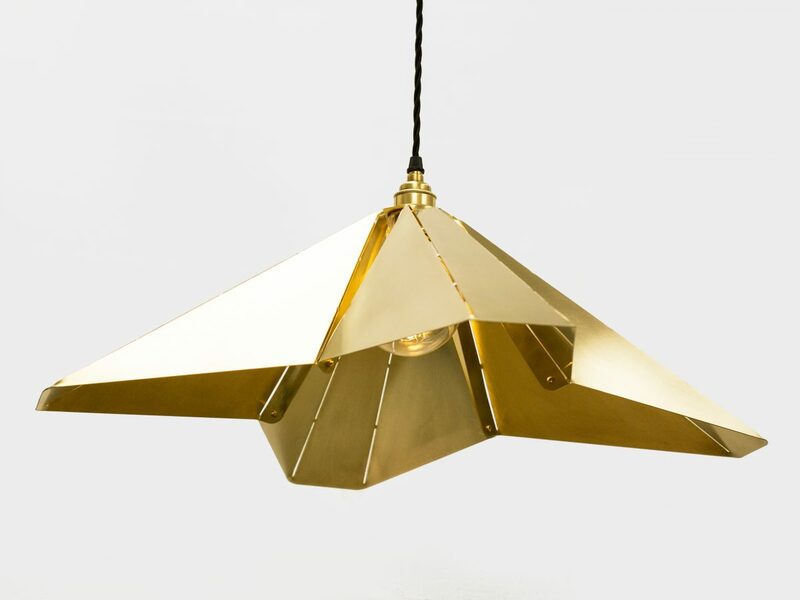 The Cell Naked Pendant Lamp is a collaboration between Fry and Jones and was born out of a love for the industrial process of metal spinning. 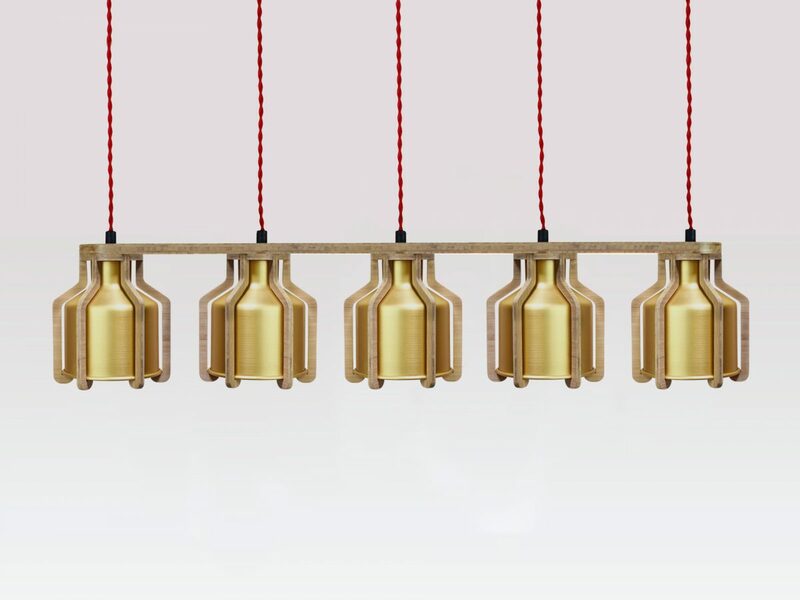 The pendant lamp design has a refined and paired back aesthetic and looks amazing as a cluster, a cascade or in a row – making it a very adaptable lighting solution for a mix of different of settings. 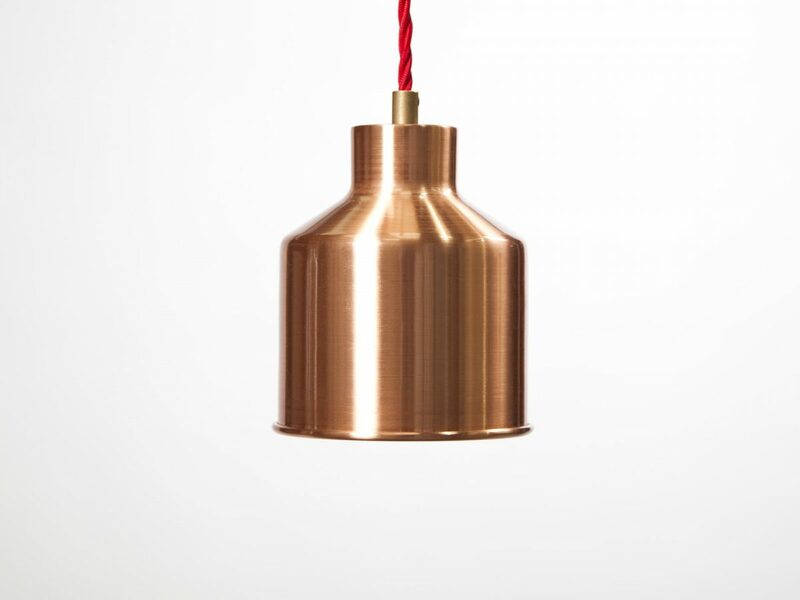 Materials: Red, White, Aluminium and the Special Edition Copper, Gold and Patina shade. 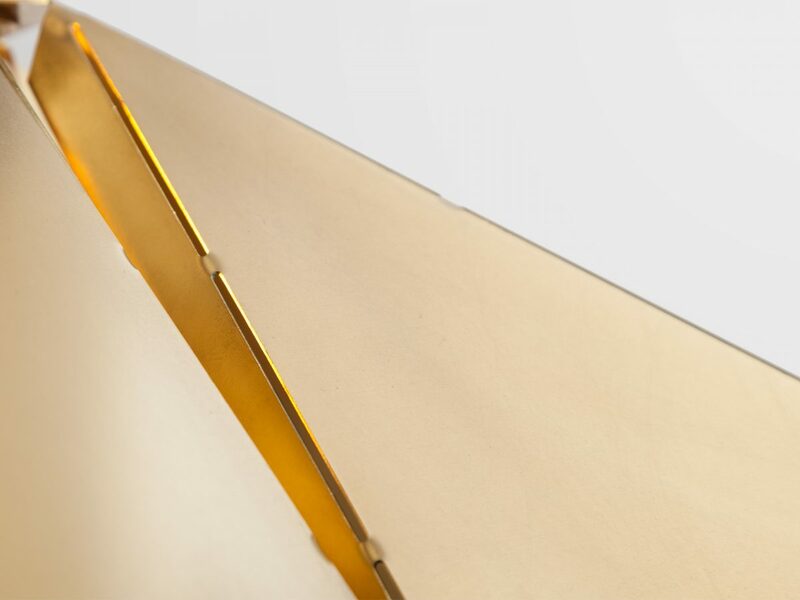 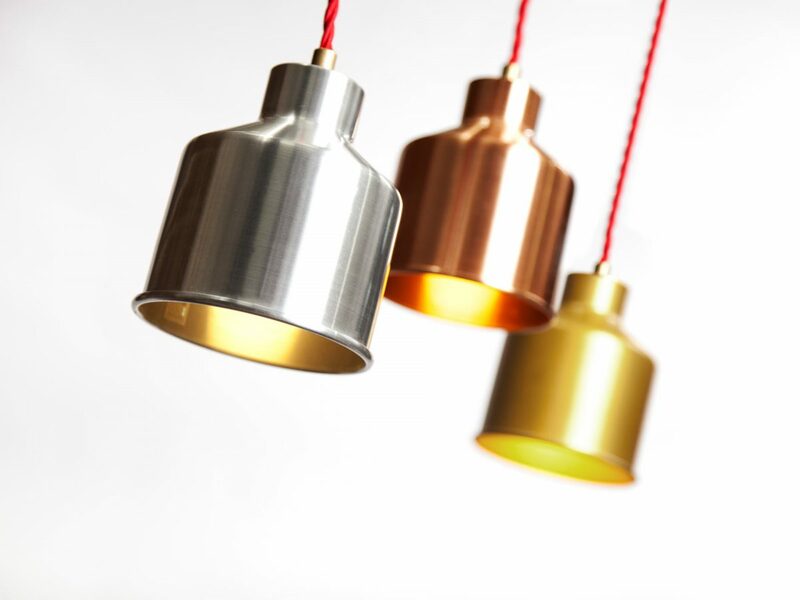 Materials: Red, white, aluminium and the special edition Copper, Gold and Patina. 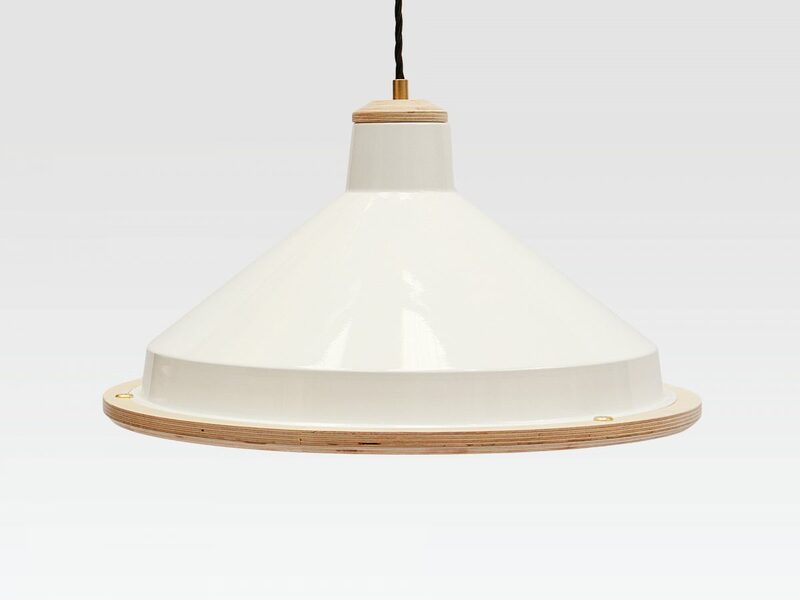 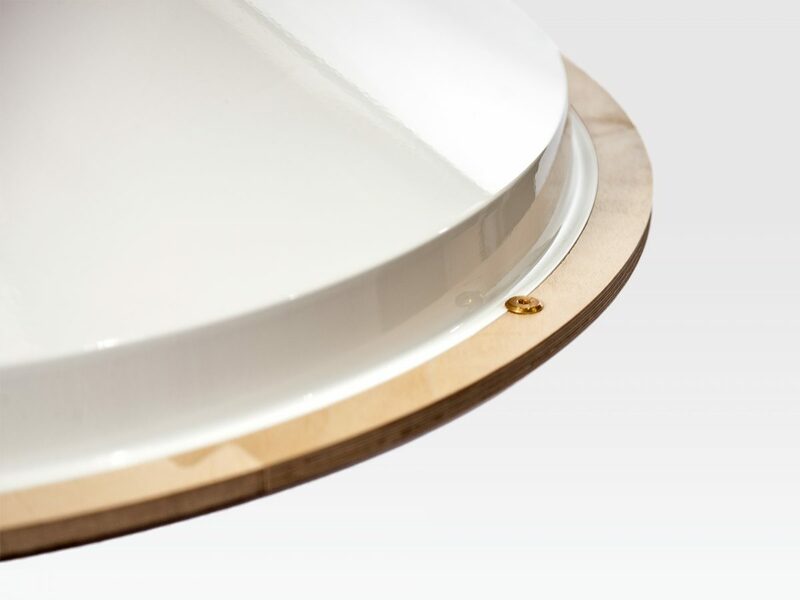 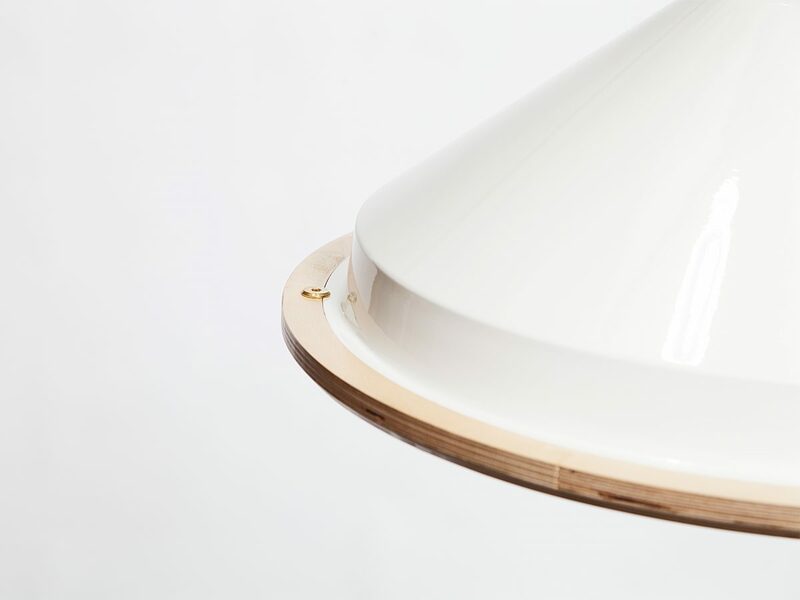 This spun metal luminaire with timber ply trim takes a traditional large shade and gives it a refined, high-quality 21st century appearance; making it a great addition to large interior spaces. 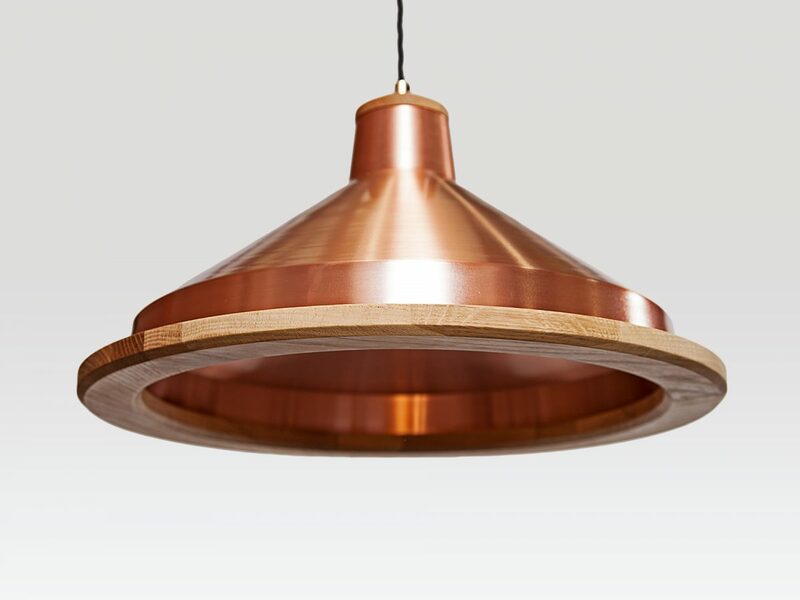 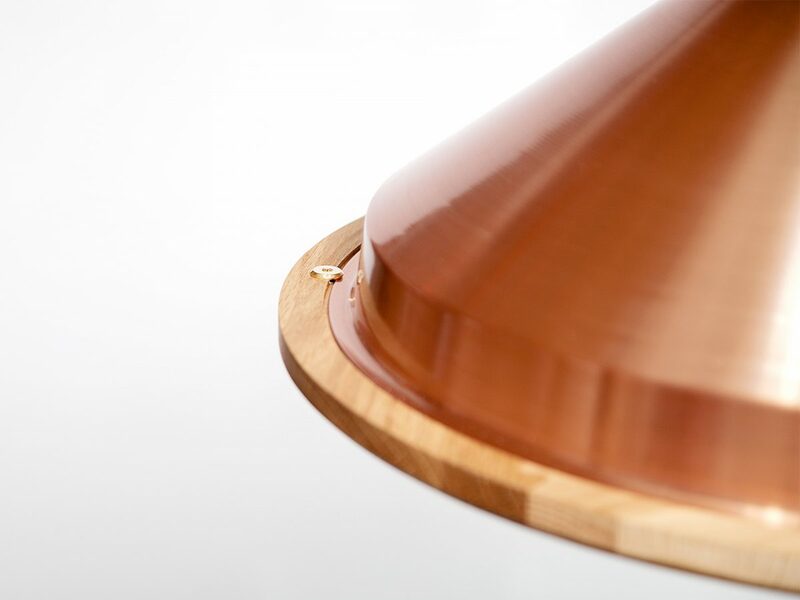 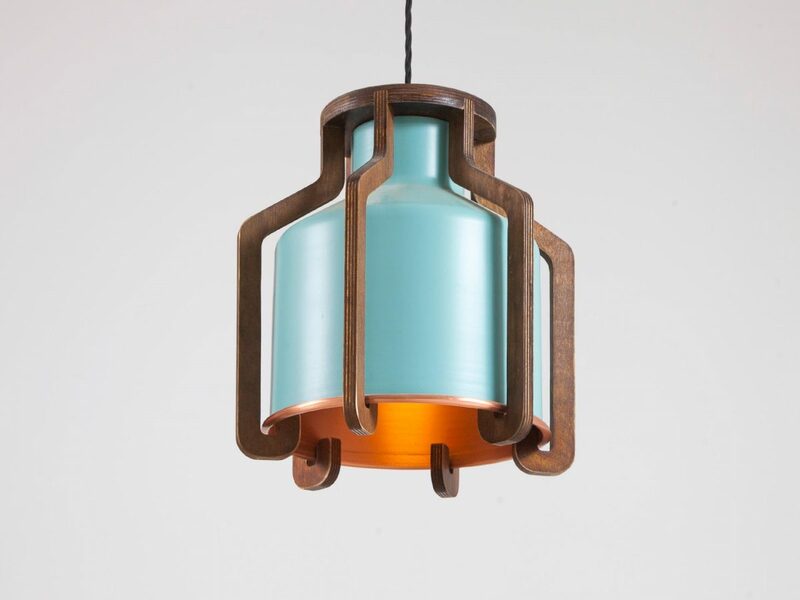 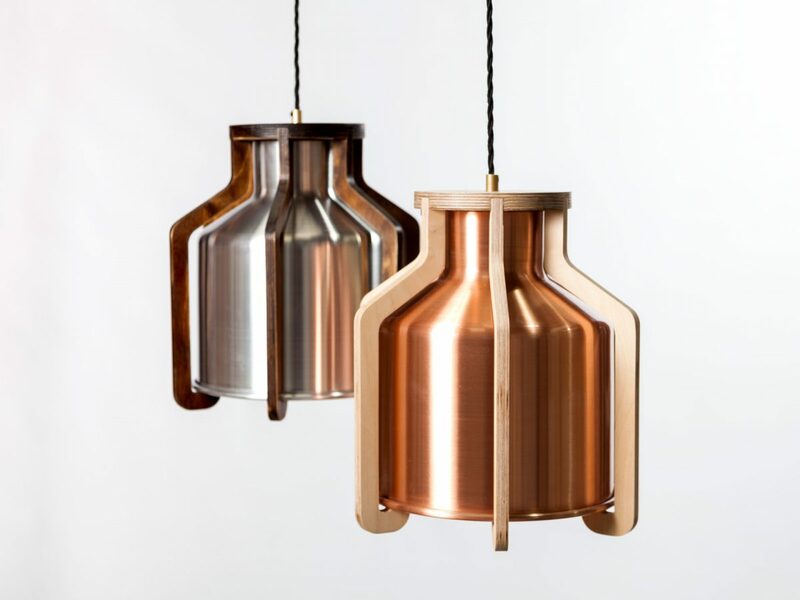 Materials: Powder coated aluminium or copper shade with sustainably sourced Oak. 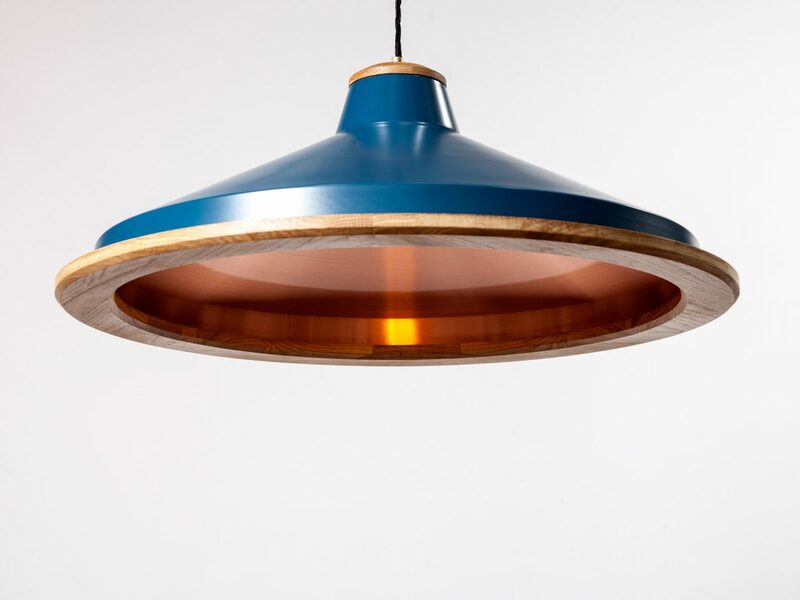 Materials: Powder coated aluminium or copper shade and sustainably sourced Oak. 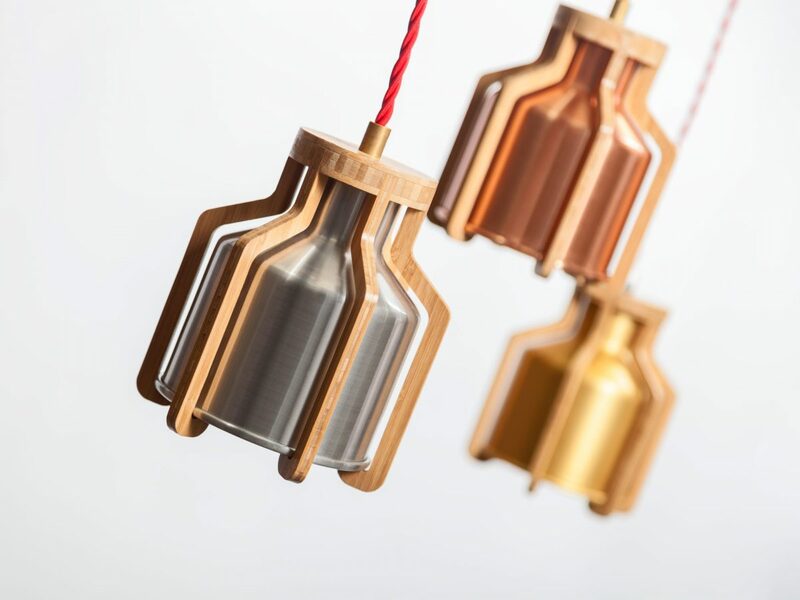 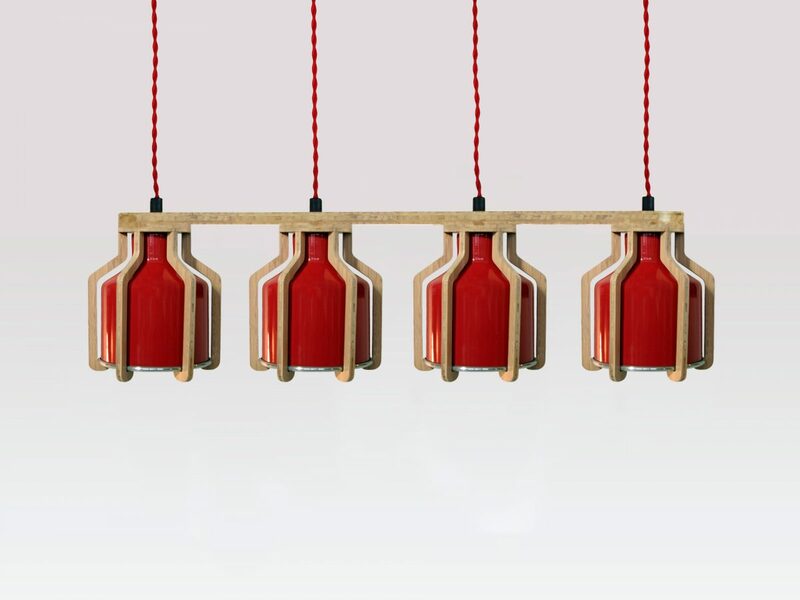 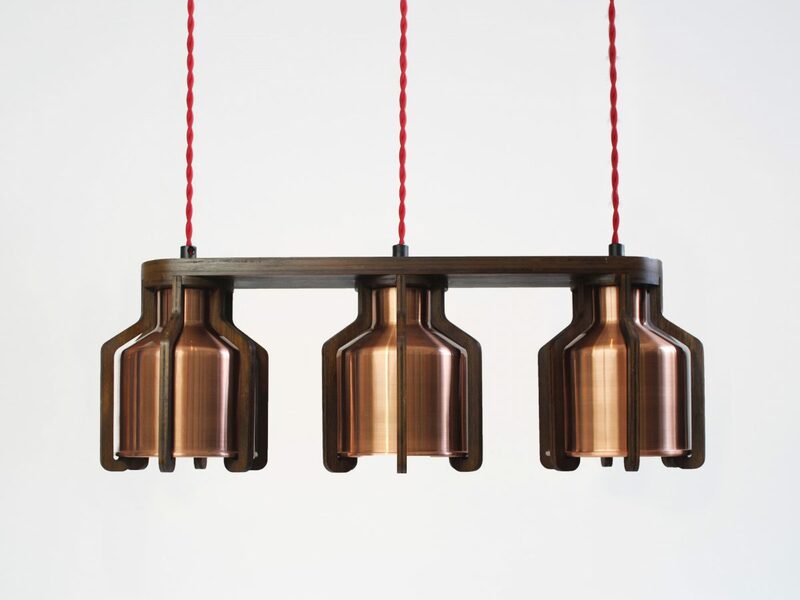 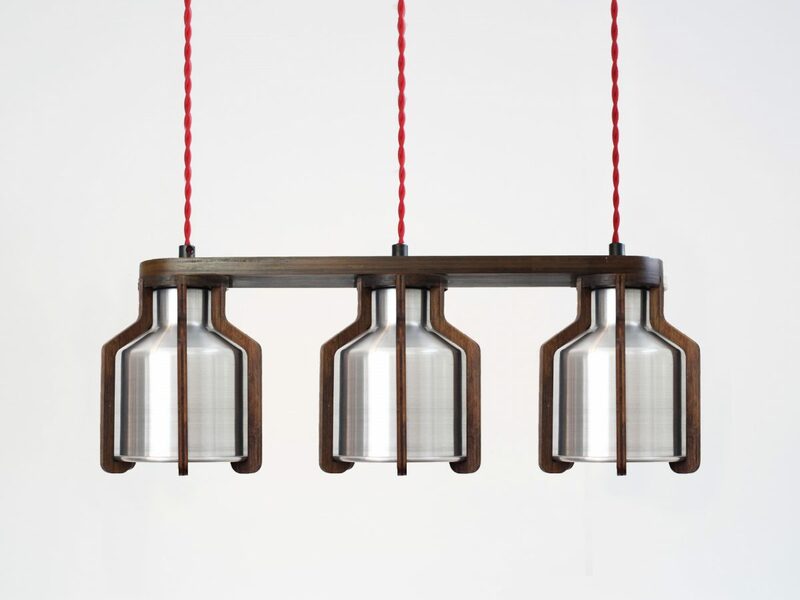 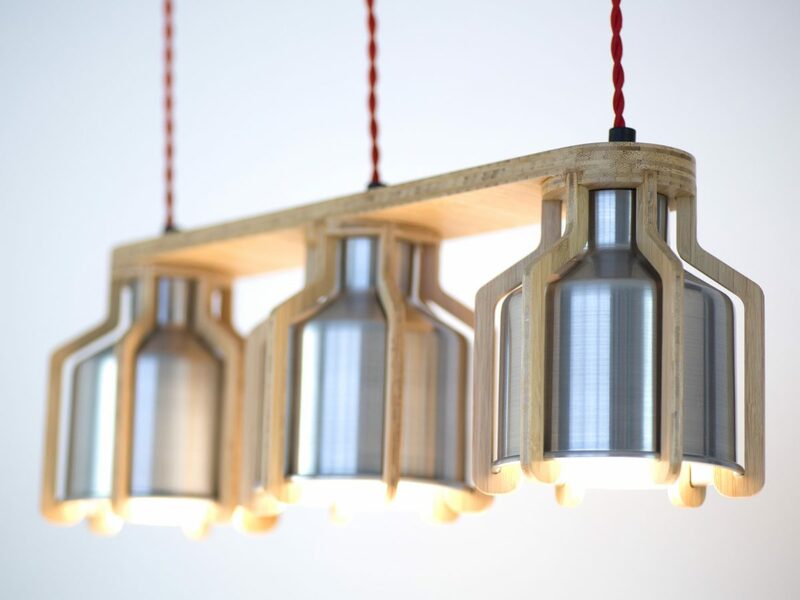 The Cell Triplet takes the concept of the single pendant light but offers it as a row of three. 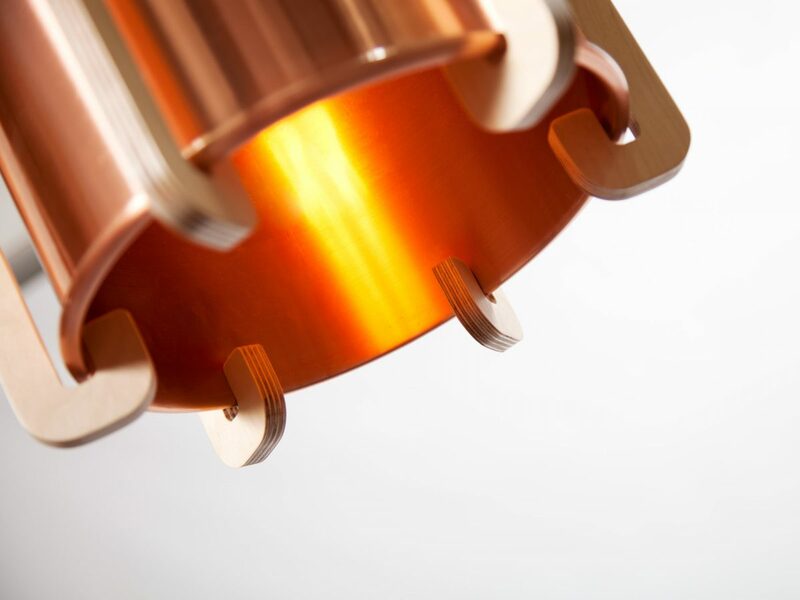 This makes the Cell Lighting concept a truly versatile lighting solution for a variety of uses. 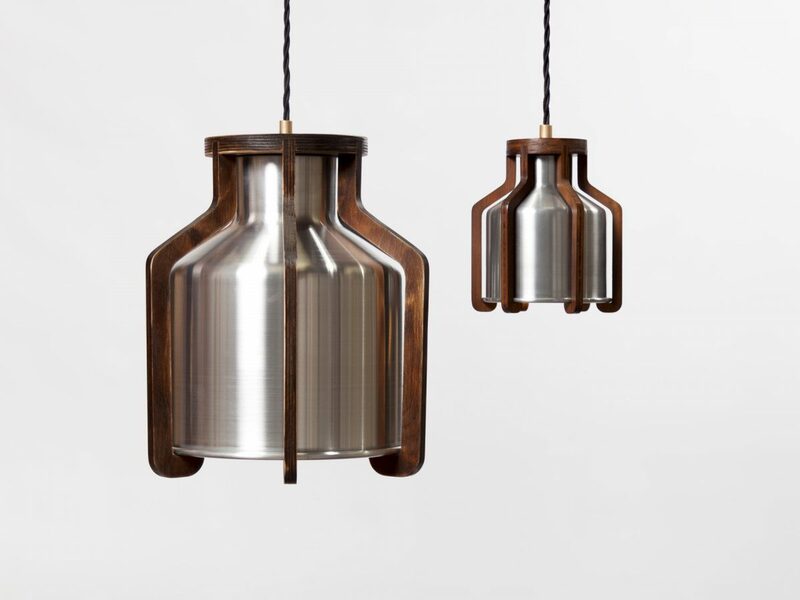 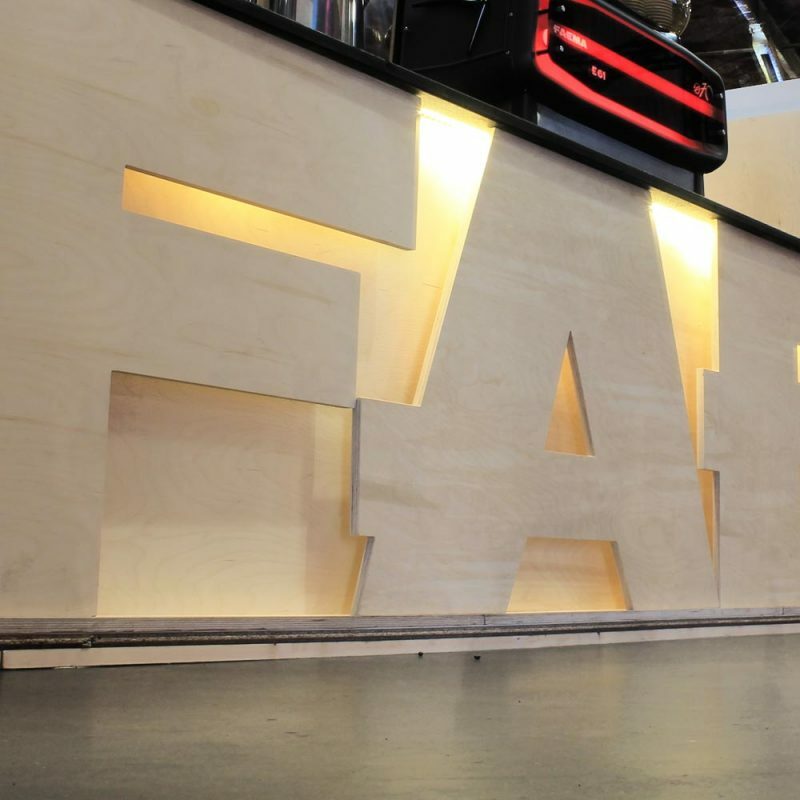 Winner of the 2015 ADEX Award for design excellence. 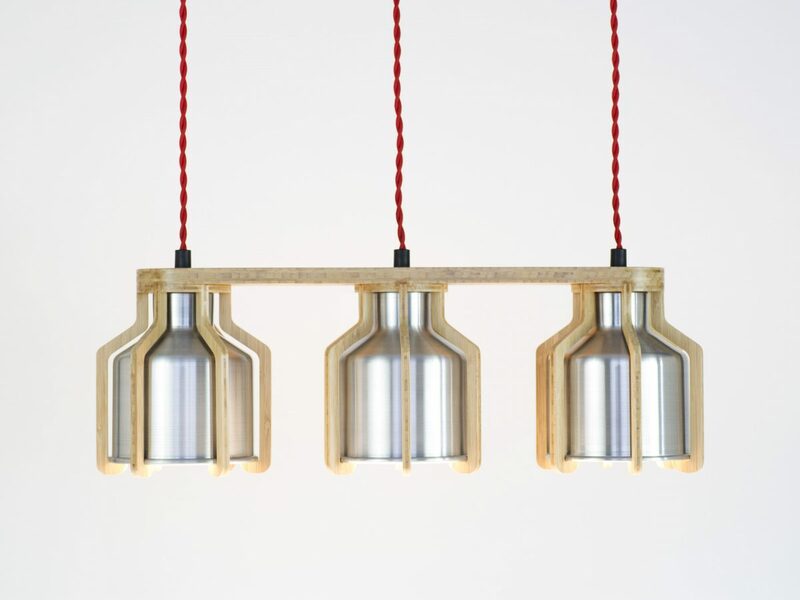 The Cell Quadruplet takes the premise of a row of Cell Lamps that little bit further… offering a group of four. 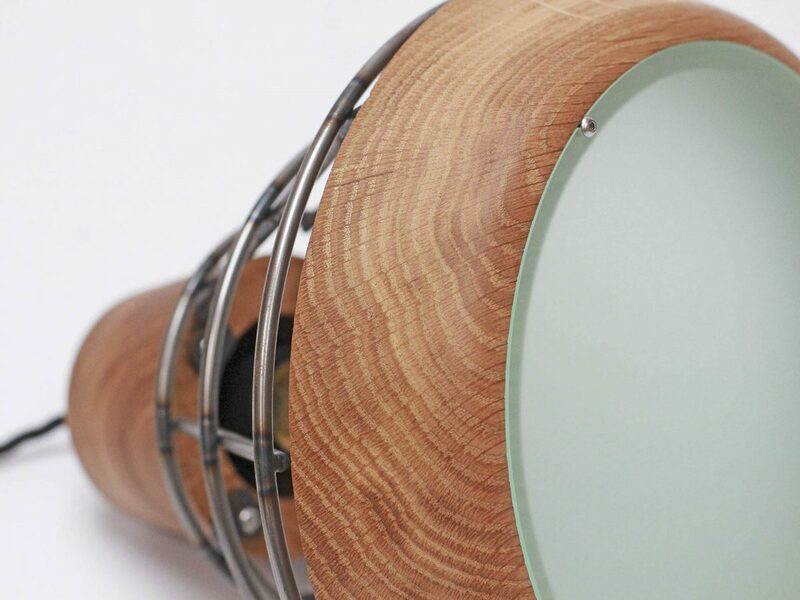 By combining a cage of cross-ply bamboo fingers protecting a metal shade the Cell Quadruplet offers a truly unique and dynamic lighting solution. 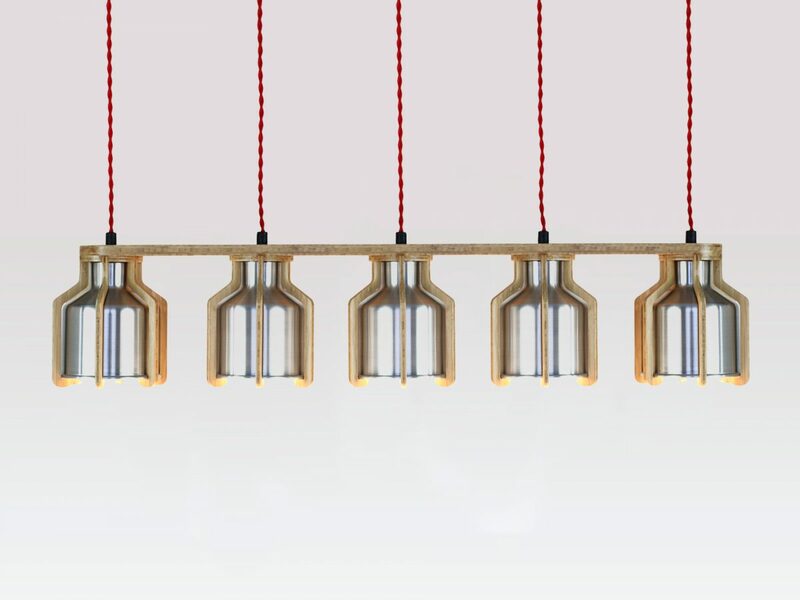 The Cell Quintuplet – born out of a love for the industrial process of metal spinning offers the Cell Pendant Lamp as a row of five. 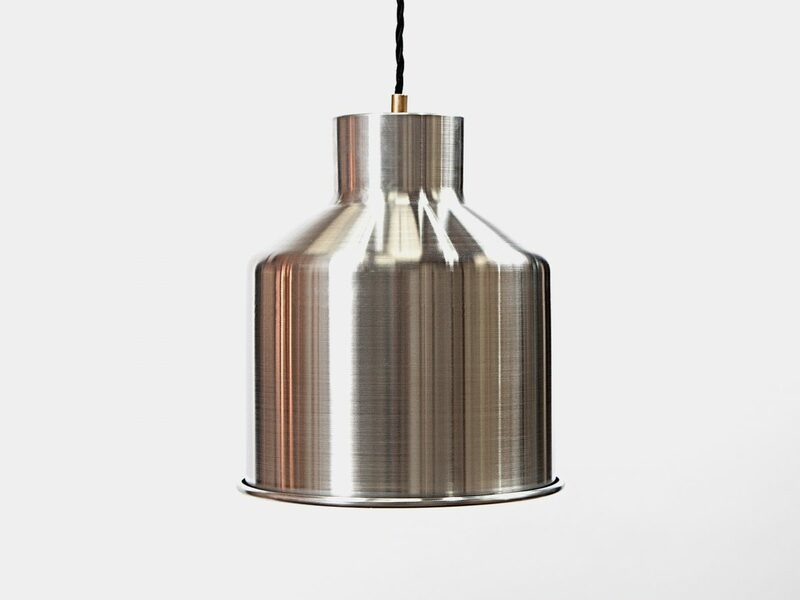 It’s an industrial look complimented by the spun aluminium and will liven up any modern interior. 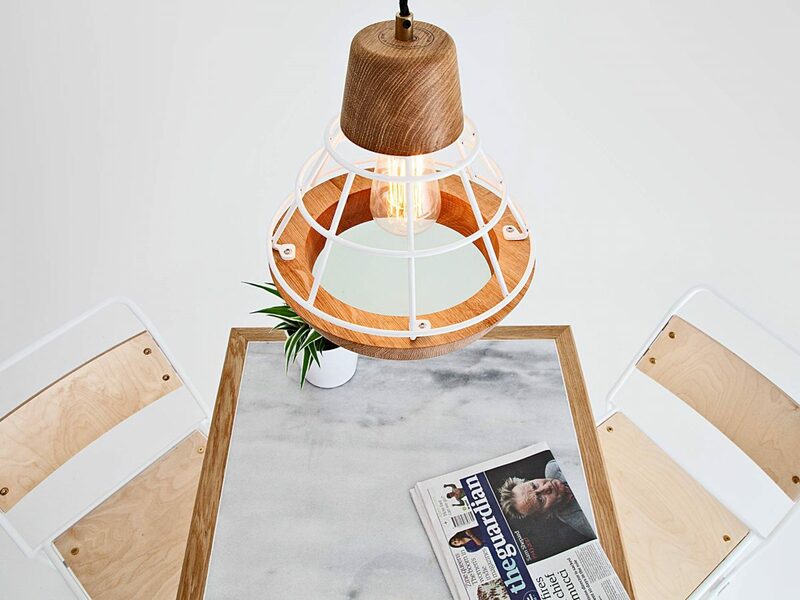 The contemporary splice shade uses the same angular net pattern as seen in the splice stool panels, giving it the same industrial feel. 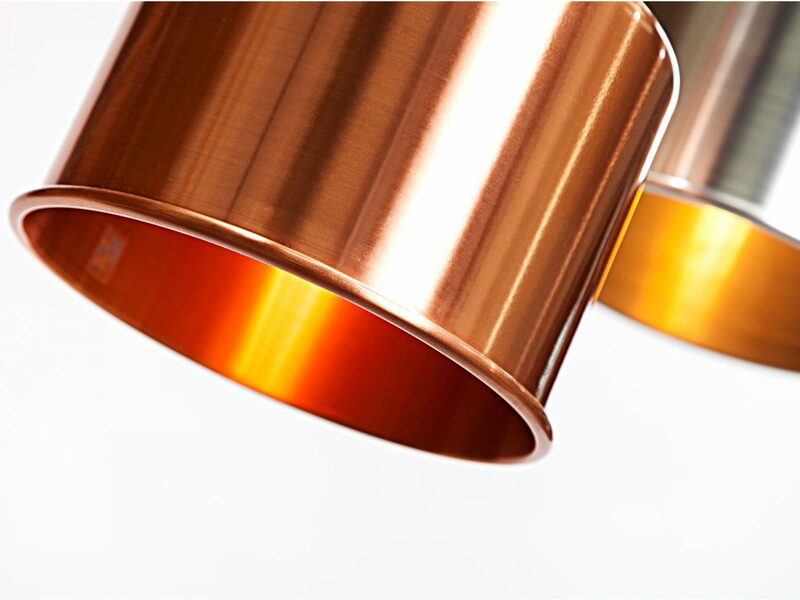 Material Options: To specify a colour or any other finish please contact us.